Acadia Tucker's long love affair with perennial foods has produced this easy-to-understand guide to growing and harvesting them. A regenerative farmer who is deeply concerned about global warming, Tucker believes there may be no better time to plant these hardy crops. 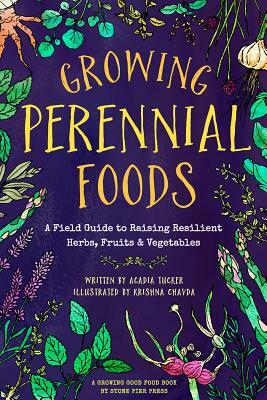 Growing Perennial Foods is part of our Growing Food book series and a companion guide to Growing Good Food: A Citizen's Guide to Backyard Carbon Farming, which is also written by Acadia Tucker and set to publish in the summer of 2019.